end of the first quarter of 2015. Casa Pequeña designed by Michael Smith, AIA & Mick Kennedy, AIA of TXa. 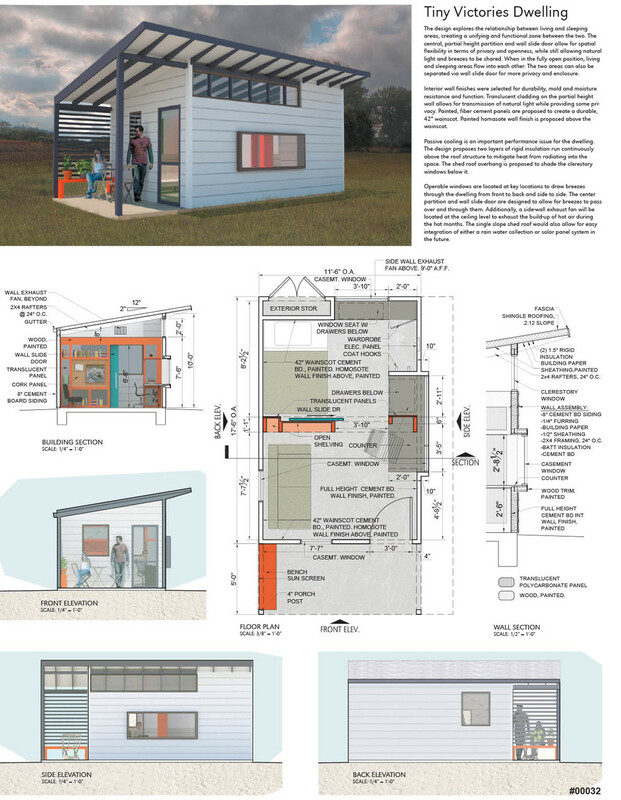 This design creates a tiny home that opens itself to the daily and seasonal varieties of individual domestic life and community interaction. Casa Pequeña draws from an evocative and relevant Texas precedent: building lightly on the ground while shaded from the sun and open to the breeze. 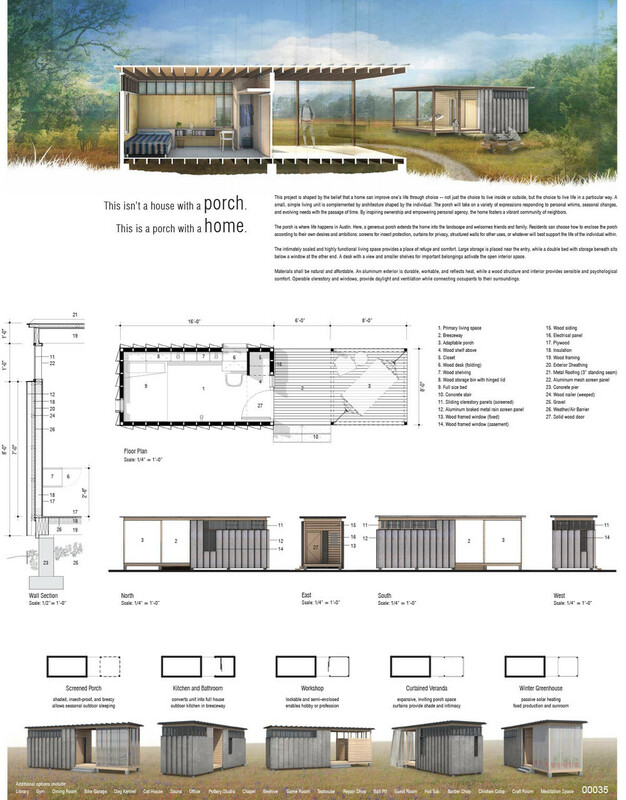 Dogtrot was designed by Becky Jeanes, Tray Toungate, Laura Shipley and Brianna Nixon of Designtrait. This modernized interpretation to the historic dogtrot approach yields a simple composition of spaces and a tiny solution to an enormous problem. The Rooftop Hospitality House was designed by Cody Gatlin of Fazio Architects. This dynamic home has the potential to host more guests than would have been possible without the addition of a habitable rooftop space. MicroPod Prefabricated designed by Stephi Motal, AIA of Black + Vernooy Architects offers a flexible unit that can be oriented to optimize privacy, solar, and ventilation considerations, as well as other site opportunities such as views and trees.